Will Beavis Music shared a post. 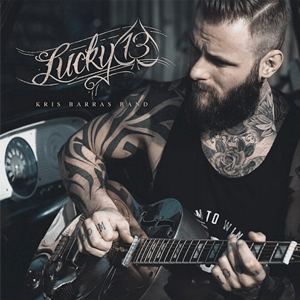 There seems to be no stopping the meteoric rise of the Kris Barras Band! Hailed by the blues media as the UK's hottest new prospect! October headline tour on-sale now! Can't wait to hit the road with Jonny Lang and Walter Trout for the Rockin' The Blues Tour. Starting on May 23rd, we'll be playing in GERMANY, NETHERLANDS, FRANCE and the UK.